Година: 2015 23 x 42 мин. "Мери Маргарет Бланчард / Снежанка"
"Реджина Милс / На Злата Кралица"
"Дейвид Нолан / Принц "Джеймс" Очарователен"
Immediately after becoming the Dark One, Emma disappears and the heroes must band together to save her, but first they have to find her, which will require the help of an unlikely ally. Meanwhile, in the Enchanted Forest, Emma struggles to resist her dark urges as she searches for Merlin in the hope that he can stop her transformation. Along the way to Camelot, she gets help from the plucky and brave warrior princess Merida, as well as King Arthur and his Knights of the Round Table. In Camelot, the heroes feverishly work to free Merlin. Determined to help Emma, David embarks on a quest to retrieve a magical relic that Regina could use to communicate with the imprisoned sorcerer, but, when David leaves, Arthur insists on joining him because the dangers ahead are greater than he can imagine. Meanwhile, Mary Margaret discovers the fate of her old friend Lancelot. Back in Storybrooke, Arthur seeks David’s help to catch a thief who threatens the safety of the citizens of Camelot. Across town, Emma reaches out to a conflicted Hook as she sets about her plan to draw Excalibur from the stone. After receiving a cryptic warning from Lancelot about Arthur\'s intentions, Mary Margaret realizes Arthur may be the heroes\' biggest threat, but when she is unable to convince David of the danger, she takes matters into her own hands. Meanwhile, Hook\'s unwavering love for Emma provides a glimmer of hope in her struggle against the unrelenting voice of Rumplestiltskin. In a Camelot flashback, Guinevere senses that Arthur is losing his way, consumed by his obsession with making Excalibur whole, so she sets out with Lancelot on her own quest into the heart of darkness. In Storybrooke, Dark Emma unleashes a secret weapon in the next phase of her plan to find the brave soul she needs to draw Excalibur from the stone. In Camelot, as Mary Margaret and David attempt to retrieve the Dark One dagger, Emma uses a Dreamcatcher to look into the past to see how Merlin was transformed into a tree. Together, Emma and Regina figure out the critical ingredient they must acquire to free Merlin, but it\'s a race against Arthur, who does not want Merlin released. Meanwhile, with encouragement from his moms, Henry musters up the courage to ask Violet on a date. Back in Storybrooke, the heroes break into Emma\'s house hoping to locate Gold, but what they find will give them a glimpse of Emma\'s end game. Far from prying eyes, Merida sets about the mission Emma has tasked her with and begins molding Gold into the hero they need to draw Excalibur. In a Camelot flashback, a chance encounter with Merlin, David, Hook and Belle gives Merida new hope in her quest to save her brothers from the usurping clans of DunBroch. Unwilling to leave anything up to fate, Merida brings Belle along on a dangerous journey that culminates with an invaluable lesson in bravery. In Storybrooke, Regina, Mary Margaret and David discover the spell that would allow one of Merlin’s chosen to communicate with him, but when Arthur fails to reach the missing sorcerer the heroes grow suspicious. Meanwhile, Emma commands Merida to kill Belle in hopes of forcing Mr. Gold’s heroic transformation. With Merida unable to disobey Emma’s orders. In Camelot, Merlin spearheads a mission to reunite the dagger with Excalibur so he can use the weapon to save Emma from the darkness threatening her soul. With Zelena in tow, Hook, Mary Margaret, David, Regina and Robin steal into Arthur’s castle to take the broken sword from the maniacal king. Meanwhile, Merlin brings Emma along on a journey to confront his ancient nemesis and retrieve the sacred spark he’ll need to reforge Excalibur. Both parties are tested, but one suffers a blow that could derail the entire operation. In a flashback to long before the Age of Arthur, young Merlin finds purpose after he is blessed with magic and immortality, but when he falls in love with a young refugee named Nimue, everything changes for Merlin, as their romance starts a chain of events that touches every one of our present day heroes. Tensions in Camelot come to a head when Merlin, now under Arthur’s control, delivers an ultimatum to Emma: hand over the Dark One dagger and the Promethean spark or he will kill her entire family. Refusing to give in, Emma and our heroes face off against Arthur, Merlin and Zelena in an epic battle of magic and will. Just when the end is in sight, Emma is forced to make a gut-wrenching choice that no one saw coming. Back in Storybrooke, Zelena’s pregnancy mysteriously accelerates and Hook goes to new and desperate lengths to get answers from the Dark Swan. Zelena and Arthur journey to DunBroch on a mission to retrieve an enchanted relic that will provide the advantage they need to vanquish Emma and our heroes. Their path will cross with Merida’s, who is on a journey of her own to pay a debt that her father, King Fergus, owed to the Witch when he died. Merida enlists the help of two friends, Mulan and Ruby, but, in order to satisfy the Witch and save DunBroch, she first must discover the identity of the knight who killed her father. In flashbacks, Merida learns about bravery and honor as she trains for combat and rides alongside Fergus into the infamous battle that claims his life. In a Camelot flashback, Hook becomes a Dark One and his lust for revenge against Rumplestiltskin is reignited. When Emma and Hook disagree about their best course of action, the final pieces of the puzzle are revealed as events in Camelot catch up to the present and we witness a charged confrontation between the forces of light and dark that sends our heroes on a collision course with destiny. Meanwhile, in Storybrooke, Hook’s centuries old lust for revenge against Gold puts both of their fates in jeopardy while Emma’s love faces the ultimate test as she tries to convince Hook to turn away from the darkness before she, Mary Margaret, David and Regina embark on a new mission as an unsuspected evil is released. Тъмните сили се готвят да унищожат добрата магия веднъж завинаги, което довежда до сблъсък между Ема Суон и Капитан Хук. След като Хук жертва себе си, за да спаси Сторибрук, героите го следват в подземния свят, където срещат лица от миналото си. The heroes join forces with an old friend of Snow\'s to defeat an obstacle standing in the way of finding Hook. Meanwhile, Hook encounters challenges of his own. Hook\'s captivity takes a dark turn when Hades threatens to condemn him to the River of Lost Souls after Hook refuses to choose which three of his friends will have to remain in the Underworld. Meanwhile, Gold is suddenly eager to help Emma, Snow, David, Regina, Robin and Henry find Hook so he can return home to Belle; but in order to do so, he must find his ex-wife Milah in the Underworld and ask for her help. In Fairy Tale Land flashbacks, Rumple and Milah face a life-or-death crisis concerning their son, Baelfire, that forces Rumple to make a deal that will haunt him. In Underbrooke, Hook questions whether he is worthy of forgiveness after meeting his brother Liam. In the past, Liam makes a deal of his own to save himself and his brother... at the cost of a ship\'s worth of men. Meanwhile, Henry meets the Apprentice and learns of his true power. 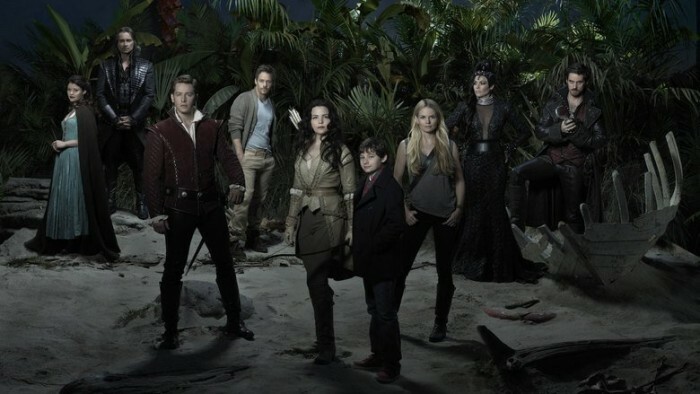 Emma, Snow, David, Regina, Robin, Henry and Hook continue to search for a way to free everyone from the Underworld. At the mercy of Hades, Gold creates a portal to Storybrooke, which transports Belle, Zelena and Baby Hood to the Underworld. While Zelena and Regina get into a sibling squabble, Belle is reunited with Rumple only to learn some tremendously shocking news that will change her life forever. Meanwhile, Snow and David hopelessly attempt to send a message from the Underworld to their son, Neal. In flashbacks, Hades learns about Zelena’s very special spell and pays her a visit in Oz with the intention of striking an alliance, but finds himself with more than just a partner in crime. Belle turns to Rumplestiltskin with hope of finding a way to protect their child from Hades. 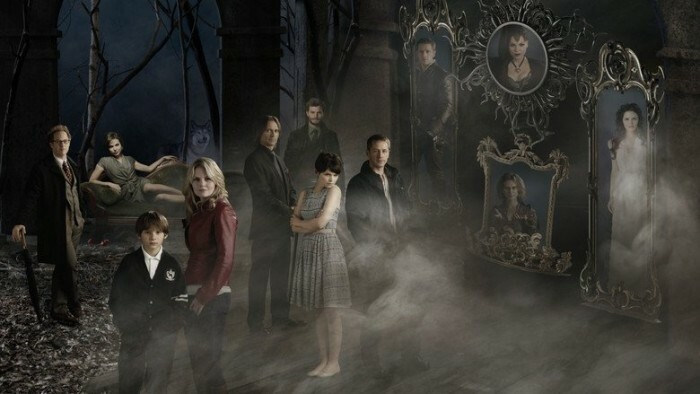 However, they disagree over whether to use dark magic, as Belle forbids Rumplestiltskin from using his powers for evil. Meanwhile, Hades secretly meets with Gaston in the Underworld and encourages him to seek revenge on Rumplestiltskin. As the heroes try to find a way to defeat Hades, Emma has a terrifying nightmare that she realizes is beginning to come true. And in flashbacks, Belle and Gaston meet for the first time, but their blossoming romance comes to a halt on the eve of the Ogre wars. Now that Hades and Zelena are reunited, Hades tells Zelena that he wants a future with her outside of the Underworld. All she needs to do is heal his heart with True Love’s Kiss so they can leave the Underworld and trap the heroes there for eternity. When Regina overhears of this plan, she enlists Cora’s help to find a way to separate Zelena from Hades. However, Cora reveals a family secret that could change Regina and Zelena’s lives forever. Meanwhile, David finally meets James, only to realize that his twin is determined to seek revenge on him for stealing the life he could have had. Hades turns to the heroes to ask for help with getting Zelena back from Rumplestiltskin and Peter Pan. In return, he offers to take all their names off their tombstones. However, when Hook is still unable to leave, he and Emma must journey into the depths of the Underworld. Meanwhile, Cruella De Vil is determined to keep the heroes trapped in the Underworld. In flashbacks, Emma searches for answers about her family and makes an unexpected friendship. 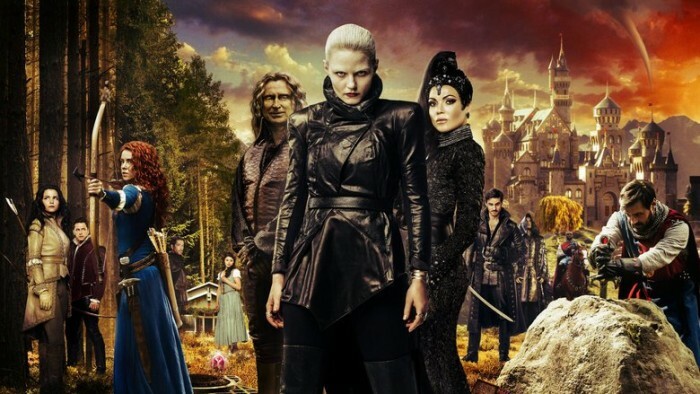 Emma, David, Regina, Robin and Henry are finally back home in Storybrooke and reunited with Snow, but, unfortunately, they still have to contend with Hades, who continues to deceive Zelena as he lays out his plan to use the all-powerful Olympian Crystal to take over the town. The heroes desperately search for a way to defeat Hades while Hook does the same in the Underworld, looking for those missing storybook pages. Regina and Robin take a more direct approach, which culminates in an epic showdown that will leave our heroes forever changed. Regina reels from the death of Robin Hood, and everyone tries to give her room to grieve, but when the heroes discover Gold has stolen Hades’ Olympian Crystal and tethered all of Storybrooke’s magic to it, they set out to stop him. Henry decides he no longer can stand all the pain magic has caused his family, so he goes rogue, with Violet in tow, to destroy magic once and for all. Meanwhile, Zelena, Snow, David, and Hook attempt to open a portal that will return Merida and the other Storybrooke guests to their homes, but things go awry, and the group winds up in a deranged new world. With the possibility of magic being destroyed and the fate of Storybrooke hanging in the balance, it’s a race for Emma and Regina to track down Henry before Gold can find him first. Regina continues to struggle with her frustrations over her former evil-self and, elsewhere, Snow, David, Hook, and Zelena are imprisoned and must contend with two very disturbed individuals that may give Gold a run for his money.